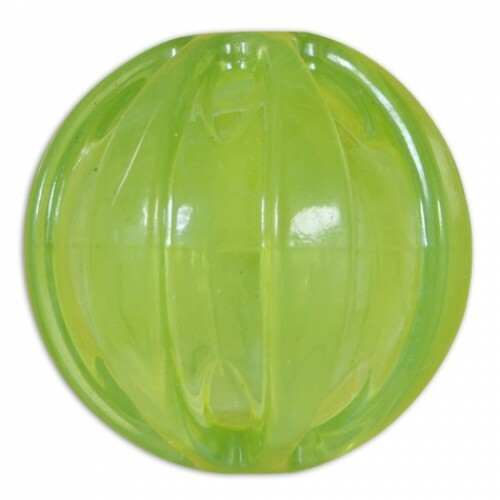 JW PlayPlace Squeaky Ball will get your dog's adrenaline pumping. The NEW PlayPlace line of multi-textured dog toys is made from JW's super tough Megalastomer. 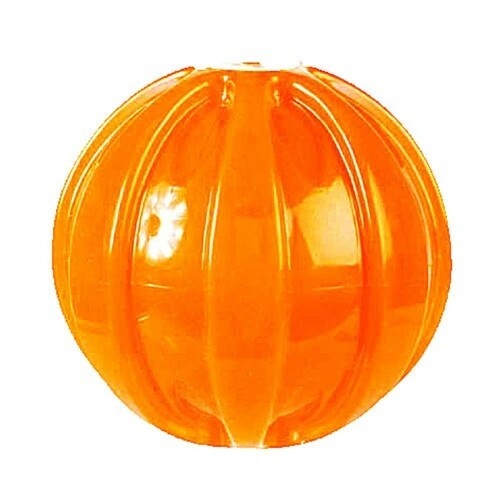 This bouncy, brightly colored translucent material is not only strong, it is also 100% recyclable! PlayPlace is truly a do-it-all line offering fun shapes and designs that are perfect for tough teethers. Bouncy and brightly colored for hours of fun for any dog. Comes in a variety of bright colors.